ASK AN EXPERT: All questions include correct answers and rationales however if you still need help, nurse educators are on standby to provide clarification. Prepare for the NCLEX exam Anytime-Anywhere (No network connection required) at your own pace. Download the FREE app, attempt 130 questions and explore all the unique features (In-App purchase required to unlock the full set of 1200 questions). * Study Mode (Attempt a question, see answer and the rationale) * Create Quiz (Select topic, number of questions - Pause and resume anytime) * Time Mode (Answer as many questions as possible in a set time to improve your speed) * QOD (Attempt a random question everyday) * Stats (View details on topics mastered so you can focus on weak areas) * Bookmarked and Skipped questions feature allows students focus on specific areas * BACK-UP all your stats to a cloud server and RESTORE to a different device All the questions are based on the Saunders Q&A Review Cards for the NCLEX-PN® Examination, 2nd edition. Author Linda Anne Silvestri, PhD, RNAngela Silvestri, MSN, RN Published by Elsevier Health Sciences Company. Full purchased content 1200 updated practice questions reflect the most recent NCLEX-PN test plan including "Alternative styles" such as Select-all-that-apply, Reorder, Fill-in-the-blank. 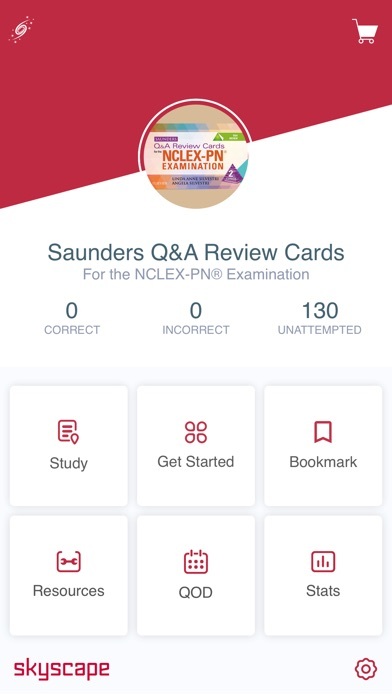 FULL DESCRIPTION: Get thorough NCLEX-PN review anytime and anywhere with Saunders Q&A Review Cards for the NCLEX-PN® Exam, 2nd Edition. 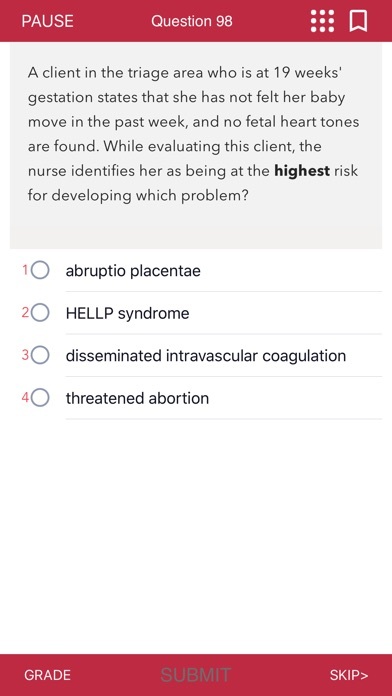 From Linda Silvestri, the foremost expert in NCLEX prep, the app comes with collection practice questions that reflect the latest NCLEX-PN test plan. Completely updated and organized by NCLEX Client Needs category, each of the 1,200 cards features an NCLEX practice question, along with the question’s answer, rationale, and focused review topic. Silvestri’s insightful test-taking tips are also included to ensure you are fully prepared both in knowledge and mindset to ace the NCLEX-PN exam on the first try. Key Features * UNIQUE! Test-taking strategies for each practice question provide direction and hints to the correct answer. * Practice questions include detailed rationales for both the correct and incorrect options. 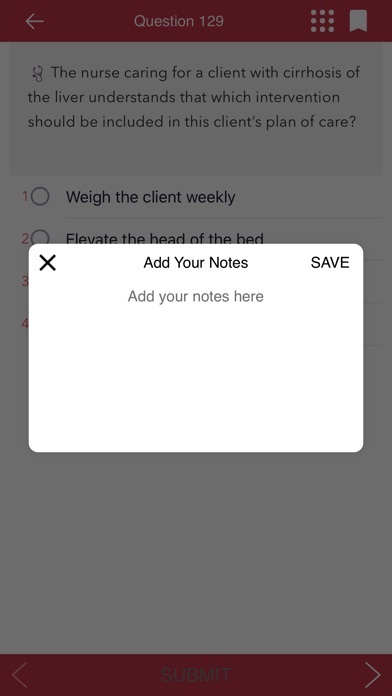 * Filters (Content area and Client needs) Detailed stats * Bookmarks New to this Edition * NEW! 1,200 updated practice questions reflect the most recent NCLEX-PN test plan. * NEW! 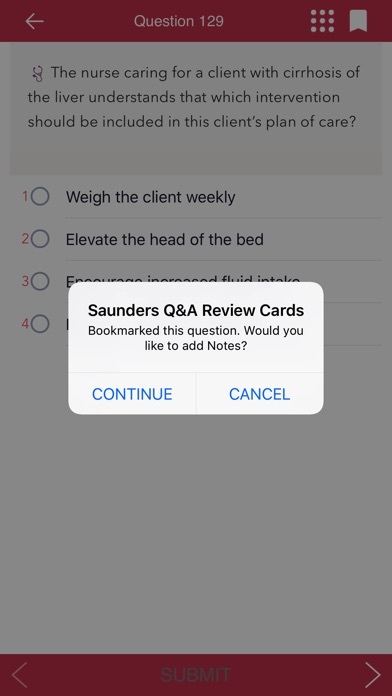 Questions organized by clinical area allow you to focus on areas of weakness and as study aids for your course exams. * NEW! Alternate item format question types including multiple response, prioritizing (ordered response), fill-in-the-blank, figure/illustration (hot spot), and chart/exhibit prepare you for the interactive question types on the actual computerized exam. NEW! Increased pharmacology, prioritization, delegation and triage/disaster management coverage reflects the increased emphasis on these topics on the NCLEX-PN. * NEW and UNIQUE! Highlighted keywords or phrases in each answer identify a recommended review topic related to the question. * NEW and UNIQUE! Highlighted keywords or phrases in each test-taking strategy identify a recommended strategy to approach the question. * NEW! Two-color design highlights key content. By why do i need to put my name?